Police attacks, student demonstrations, trying to make it as an alternative female bass player: these are among the challenges faced by the protagonist of The Carbon Diaries 2017. 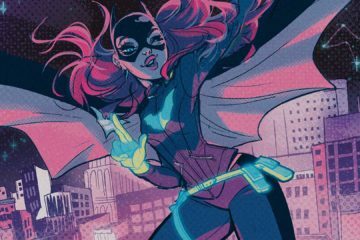 The book has a brilliant, original storyline, interesting characters and a genuine radical and subtly feminist perspective, which I haven’t come across often in teen fiction. This book is a sequel to The Carbon Diaries 2015, which follows the diary of Laura, a 16-year-old, middle-class English girl from South London as Carbon Rations are introduced, massively cutting people’s access to travel, food, heating and other essentials. In 2017, Laura, now 18, is at university in London. As people struggle to survive, the government becomes more and more oppressive, especially towards younger people. Many different issues are explored through the novel, as Laura becomes increasingly involved in political activity. There are struggles all over the world, such as the water war in North Africa. In England, the United Front, a fascist group based on the BNP, is coming to power and beginning to rule the streets. As government oppression intensifies, with the introduction of a draconian Citizen Tax which everyone has to pay, students begin to revolt and young people embark on various forms of revolution – some peaceful, some involving organised armed action. Reading the book, I was struck by a contrast with another recent teen fiction series – the massively popular Hunger Games, a trilogy of novels set in a future North America, an oppressive dystopian society where teenagers are forced to fight to the death. The people of the districts begin a rebellion against the rulers in the Capitol. However, in the last book, Mockingjay, the rebellion is portrayed as harmful and the rebel leaders as just as evil as the oppressors. In the second book, there is a sense that the rebels could overthrow the rulers, but the series concludes in something more like a ceasefire between the two sides. In fact, the main rebel leader is killed by the protagonist, Katniss. Underlying these two series are very different attitudes towards young women and girls. While a strong female character is central to the first two Hunger Games novels, the final book appears to reject this idea totally. Not only does Katniss leave the revolution and the fighting at the end, she also rejects her entire past identity as a hunter and becomes simply a wife and mother in a happy family. She becomes completely influenced by her boyfriend, and by the end does not appear to lead any life independently of him, let alone have an individual political outlook. In The Carbon Diaries 2017, however, Laura starts out confused and unsure, with little understanding of politics or her own role in it. As the story progresses, her life is thrown into turmoil and she takes a journey toward understanding, developing a desire to be involved. At the end, she feels passionate anger towards the Government and wants to keep fighting for justice. This becomes the most important thing in her life. Moreover, Laura takes this journey independently. While her boyfriend also journeys into political activity, they take different paths from each other. Laura feels no desire to follow in his footsteps: Adi is involved in an armed group with which Laura does not want to associate. I think one of the most feminist aspects of this story is that Laura does not try to split up with Adi just because she is scared of what he’s involved in, or even because she doesn’t agree with what he’s doing. Even though she has a relationship with someone else at one point, she acknowledges that she is still in love with Adi, and wants to be with him, but her character is strong enough that she can accept their differences and she is able to be independent of him, both in her personal life and in her political views. It is very easy to relate to Laura’s journey from being a naive girl with no genuine interest in politics to being a strong person with an anger and determination to rebel. Very little is ultimately resolved, and while this is often unsatisfactory, the fact is that the book is the story of a person’s life. There is no false contrivance to craft a story where all ends happily. By contrast, in The Hunger Games, Katniss begins as a freedom fighter, but she ends up putting a halt to the conflict by killing the main rebel leader and then withdraws completely from the struggle. Revolution and wanting change are not portrayed as positive. The ending of the series has a very conventional fairytale style – cosy and tired-but-happy. Katniss appears to have lost her strength and spirit: she settles down with her boyfriend Peeta because he always had a peaceful outlook. She completely shuts herself out from any fighting and becomes totally absorbed with her household life with her husband and children. It’s suggested that she chooses Peeta over her childhood hunting partner because the latter still feels rage at what goes on around him. Katniss implies that she does not need any more anger, only positivity. However, in reality, the two can often be combined: anger at a situation and a positive outlook in trying to change it. 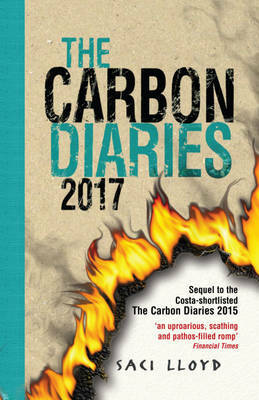 In The Carbon Diaries, the feeling of anger builds up, beginning as confusion and ignorance and becoming indignation, then rage; yet the author still succeeds in ending the book on a positive note. I really like the way in which Laura’s character remains good-natured and high spirited, but gradually becomes angry at everything going on around her. Overall, I really liked the first two Hunger Games volumes, but felt disappointed by the last. The series had the potential to be radical and inspiring but became formulaic, with Katniss becoming just a wife and mother. By contrast, The Carbon Diaries implies that political action is linked to emotion. 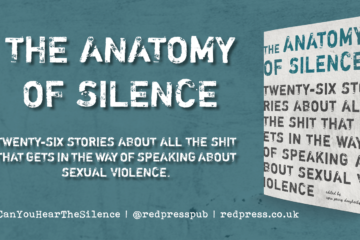 Anger is the most important thing that Laura feels at the end of the story, and the author has made it very personal, not separate from her life as an individual. I know that this series is not as widely read as The Hunger Games, so I strongly recommend it! Ananya is 14 and obsessed with writing, singing, politics, playing the guitar and Choco Leibniz biscuits. I’d still read them Alasdair! I didn’t agree at all with the analysis here and found the last one to be the most gripping and chilling and tho this review contains massive spoilers it doesn’t go too far as the plots are mecurial and rich and and and… I can’t argue the ‘nothing unfeminist about them’ cause without more spoilers, but do read and make up your own mind! F Word: You really do need to put a spoiler warning on any reviews which reveal plot points! Good review :) I’m a bit concerned about most fiction for teenage girls, nice to see a change. @All – sorry about the spoilers. I’ll include a warning, as suggested, in future. My heart falls at the phrase “just a wife and mother”. At the end of Mockingjay Katniss was broken and grieving and exhausted. She’s human and she’s been through so much and has done so much. Shouldn’t this free her from being written off as ‘just a wife and mother”? Otherwise what’s the point in ever doing anything of note if as soon as you become a wife or mother you are only defined in those terms? I’m a feminist and phrases like this make me fear that as soon as I have a child I’ll be written off by the movement I love.